These days it seems as if every model, fitness fanatic and foodie has turned their Instagram accounts into some sort of billboard, giving anyone with a big enough wallet the opportunity to claim a post on their profile. With the potential to earn a full-time income, you can’t blame them. The great thing about it is that you don’t have to be famous – hell, you don’t even need friends. All you need is the right tools and a solid game plan. Creating an account and uploading pictures is easy, but there are numerous steps you can take to ensure that you’re getting the most out of your posts. Imagine uploading the photos you put so much effort into taking and editing, only to see them getting reposted by a more popular account without your permission. Due to the huge userbase and lack of consequences, Instagram is plagued with this. Luckily for you, there’s an easy solution. Simply download an app like iWatermark and add your brand name or Instagram handle somewhere on the picture. Be sure to make it subtle as people are more likely to appreciate a picture that doesn’t look like its waiting to be sold on Shutterstock. Find out which times work best for the content you’re posting. People usually start scrolling through their Instagram feeds in the morning, after work and in the evening before bed. You can also benefit from adjusting the frequency of your posts. The general rule is to post more as your following increases. Go for two posts per day when you start off, gradually getting up to four or five posts as your following hits the thousand mark. You can increase your efficiency by making use of Hootsuite or Latergram. With these apps you can schedule your posts for up to a week in advance, eliminating the need to upload each image yourself. You’ve likely heard of these seemingly amazing bot services that can add thousands of likes and followers to your account within a few seconds. What you may not have heard is that they aren’t worth a cent of your money. Not only do they add meaningless numbers to your account that don’t help grow it in any manner, but Instagram is cracking down on users who manipulate their system, constantly disabling these services from working with your profile. If you want to grow your following, keep it organic. Take your bio for example. There’s space to add a link in it. Many users have taken advantage of this space by selling it to advertisers who want their store or website placed there. Negotiate a schedule where you can sell it to numerous advertisers for a certain duration. 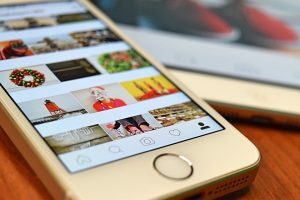 Once you develop a sizable following, owners of other accounts might be interested in paying you to repost their photos or videos in order to help them gain exposure. As long as their posts are suitable, they’ll fit right in.